microglyphs® can be embedded in given structures such as logos. The code appears like a uniformly hatched background to the logo and becomes almost “invisible” for the human eye. 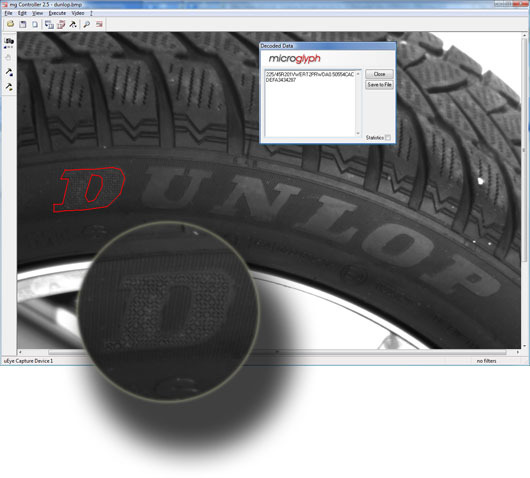 For application on tires, the microglyph codes are exactely adjusted to the contour of the pre-molded logo and then marked by a laser. Only at at a very close range, the naked human eye can at all perceive the fine structures of the code.